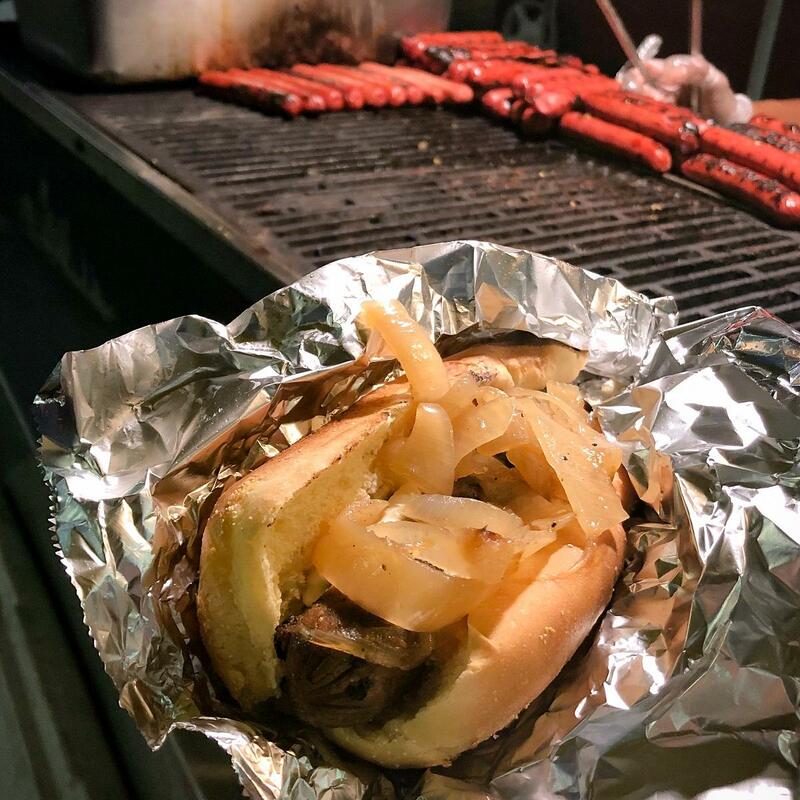 SLIDESHOW: The Seattle dog, with grilled onions and cream cheese, was born in Pioneer Square in the late 1980s. This is a Polaroid of that era. 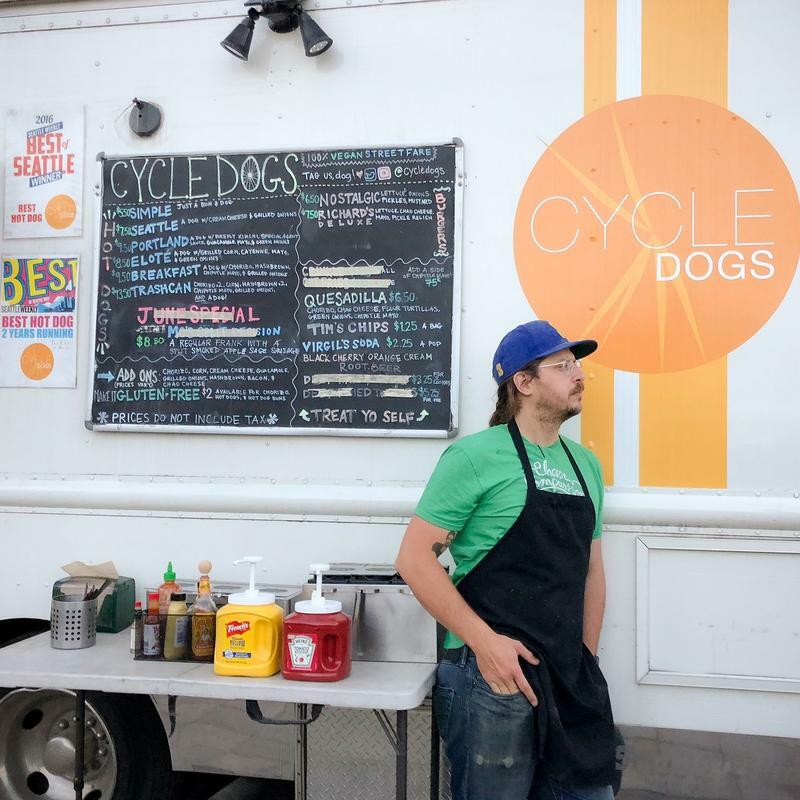 Outside Cycle Dogs, listener Mara Dillinger's favorite spot to get a Seattle dog (that's the one with cream cheese). 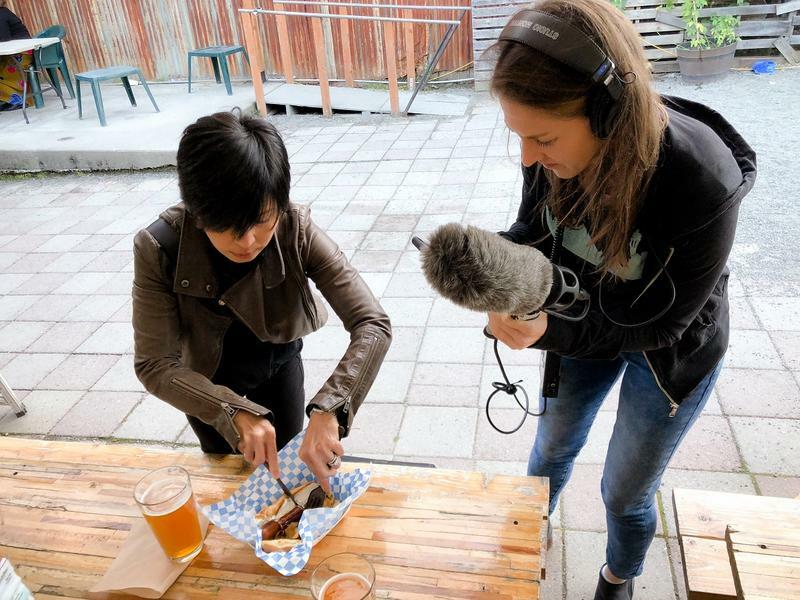 Reporters Ruby de Luna and Anna Boiko-Weyrauch on an evening tour sampling the Seattle dog, a combo of grilled onions and cream cheese. Mara Dillinger stood at a hot dog cart in Seattle’s Capitol Hill neighborhood, eating her fourth hot dog of the night. The Seattle dog: grilled onions and cream cheese. How did this become a thing? Well, the Seattle dog actually started with bagels, created by a vendor named Hadley Long. Long had previously run a successful bagel pushcart Carbondale, Illinois, a college town. Long sold bagels in Carbondale for eight years. But he wanted to see if his bagels would do well elsewhere. A Polaroid photo of early consumers of the Seattle dog, made with grilled onions and cream cheese. Hadley Long, who had come from Carbondale, Illinois, came up with the idea. Long followed his dreams to Seattle, working at a bagel deli in Pioneer Square. 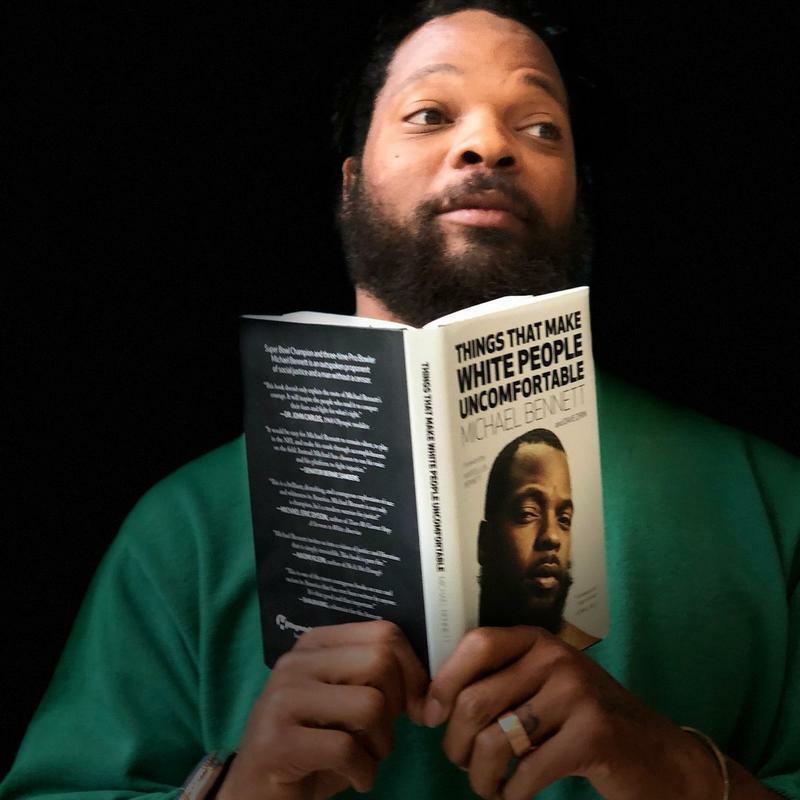 He convinced the owner to let him start a vegetarian bagel pushcart at night, from 10 p.m. to 2:30 a.m.
His cart was between J&M Café and the Central Tavern, where grunge legends like Alice in Chains were head banging on stage. “I didn’t want to sell out and be a hot dog vendor,” Long said. But he had these bialy sticks, essentially bagels shaped like hot dog buns. He put cream cheese and a hot dog on them. Patrons of Bagel Dogs, where the Seattle dog made its infamous start in the 1980s. He paired cream cheese with the hot dog, because the original bun was a bagel, and bagels and cream cheese go together like peanut butter and jelly. “That was the beginning of Hadley’s Bagel Dogs,” he said. Over time, other vendors started putting cream cheese and grilled onions on their hot dogs. It got the name Seattle dog. Do people like the cream cheese? The Seattle dog has migrated to Capitol Hill outside music venues and to Ballard, where it lives with microbrews, games of corn hole, and real dogs. These days, the Seattle Dog has even gone vegan. It has soy-based cream cheese and a seitan sausage. Mara Dillinger, the KUOW listener who sent us down this dog hole, brought us to her favorite spot—Cycle Dogs. We split a dog three ways. 1980s Seattle, maybe 1990s, Polaroid photo outside the Bagel Dogs pushcart. Regulars would return to see if the Polaroid photo taken of them the week before had been posted. After sampling Seattle dogs from four different vendors, we had our fill. It was a lot of hot dogs for one night. As for Hadley Long, the creator of the Seattle dog, he moved to Idaho years ago. Reached by phone recently, he said he is flattered that his invention is thriving. The Seattle dog, with its cream cheese, had started being copied by other food vendors before he left in the late 1990s. Reppin OG Seattle, in front of the Bagel Dogs pushcart. The Seattle dog, that grilled onion and cream cheese bliss, originated in Pioneer Square, where Hadley Long stationed his bagel pushcart. Hadley's Bagel Dogs, the site of the original Seattle dog, made with grilled onions and cream cheese. Today this style of hot dog is ubiquitous. 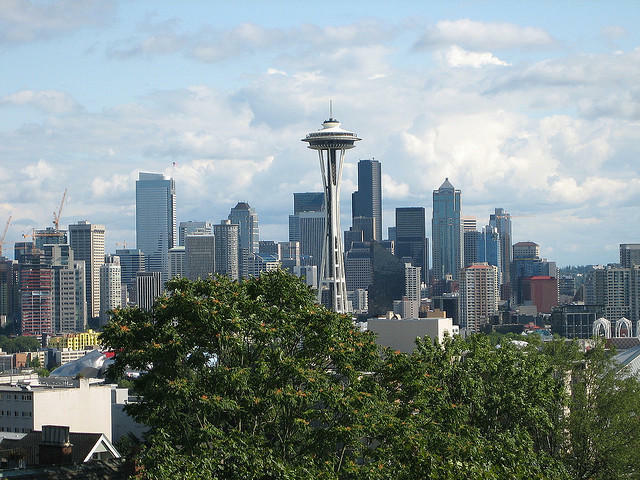 Housing prices in metropolitan Seattle are rising by more than $5 an hour, every hour of every day, according to the Puget Sound Regional Council.